The former Scotland assistant was set to depart Tannadice at the end of the season. 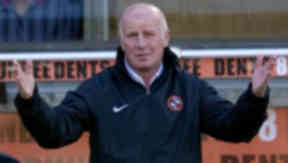 Peter Houston has left his position as Dundee United manager. The former Scotland assistant manager was already set to depart the club at the end of the season when his contract expired. 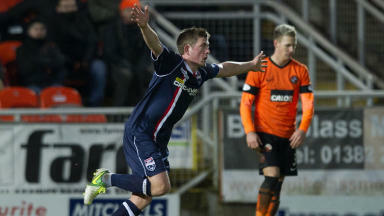 A club statement read: "Dundee United today announced that Manager Peter Houston had left the club by mutual consent. "Peter, who recently confirmed he would not be renewing his contract at the club, led Dundee United to Scottish Cup success in 2010 and helped the squad qualify for European football on three consecutive occasions. "He leaves with the thanks of everyone at the club and best wishes for the future." Falkirk boss Steven Pressley and Partick Thistle manager Jackie McNamara have both been heavily linked with the job. Houston becomes the first SPL boss to leave their position this season. After Saturday's 1-1 draw with Ross County, Houston was adamant he would not leave early insisting: "They have a manager who is highly motivated until the end of May and will try to make sure this club gets back to where it has been. "Because if I make it four years in the top six then that is an even more impressive CV – I need to get one made up actually." The 54-year-old replaced Craig Levein on a temporary basis in December 2009, leading the club to Scottish Cup glory in May 2010. There will be no announcement from the club on any potential appointment at Tannadice until after tomorrow night's match with Motherwell. Stevie Campbell and Paul Hegarty will take charge for the match.